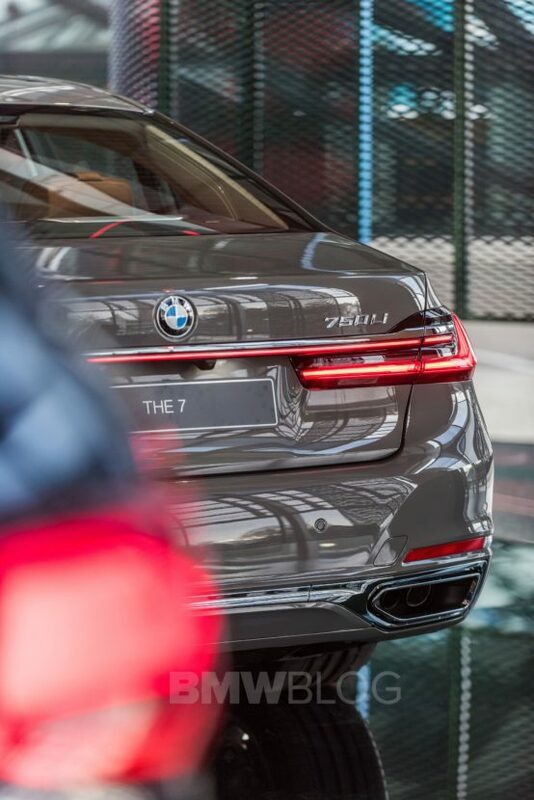 The newly facelifted BMW 7 Series “LCI” has come under fire from enthusiasts and journalists alike for its almost comically large Kidney Grilles. To be fair, it has its share of fans as well, with many enthusiasts (us included) that actually prefer this car over the pre-LCI 7er. Still, it’s a polarizing new design and one that’s sure to create more arguments in the future. Looking at it in real-life photos does help its cause, though. The stock photos that car companies provide are heavily edited don’t provide an accurate look at the car. 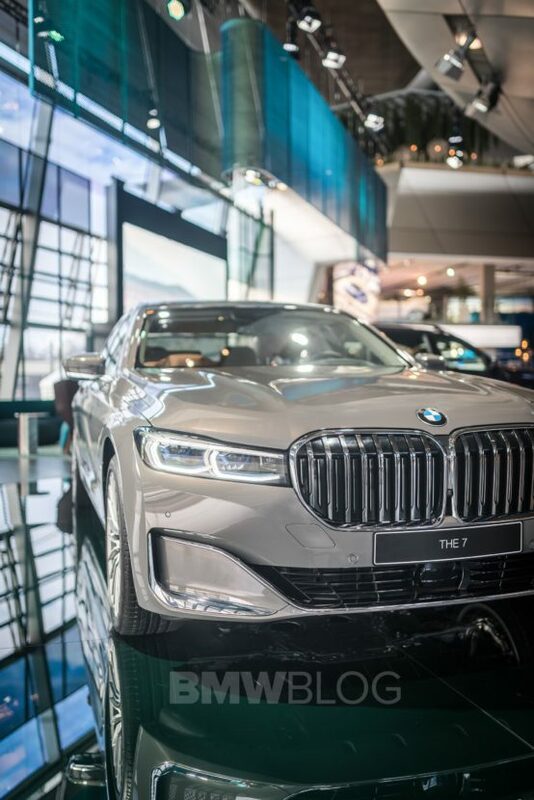 So seeing photos like these, taken at the BMW Welt’s Progressive Luxury Stand, help give a better look at the new 7 Series and it looks better when you can see it with real-world lighting. While its Kidney Grilles are enormous, they grow on you a bit. Personally, I wouldn’t go back to the old pre-LCI car after seeing this one. 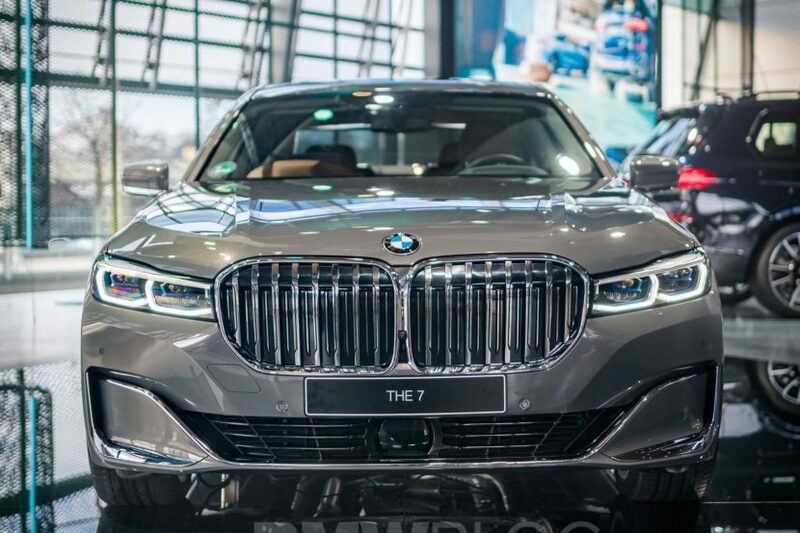 This new LCI 7 Series has more character and is much more visually interesting than the last one. It’s not just its massive new grille, though. Out back, it gets nicer looking taillights that are similar to the 8 Series’ and its “hockey stick” Air Breather trim is no longer as hockey-stick-shaped as before. I also really like those front air intake vents, which are very similar to those found on the BMW Vision Future Luxury Concept awhile back. Overall, it’s just a better looking car from the outside than before and it looks even more so under the bright lights of the Welt. The way the light reflects off of the paint and its new body lines makes it look good; sporty, expensive and elegant. So if you’re a fan of this new 7 Series LCI, check these photos out as they will reinforce your opinion on it. If you’re not a fan, check them out anyway, as they might help change your mind, being that they really do show it off in a better light. Literally and figuratively.